Traditional connectivity services are provided through a connection to your local exchange, this is then routed over the national network to a ‘central point’ or ‘node’, typically in London, where the connection is broken-out to your service provider’s network. At amatis we do things a little differently. 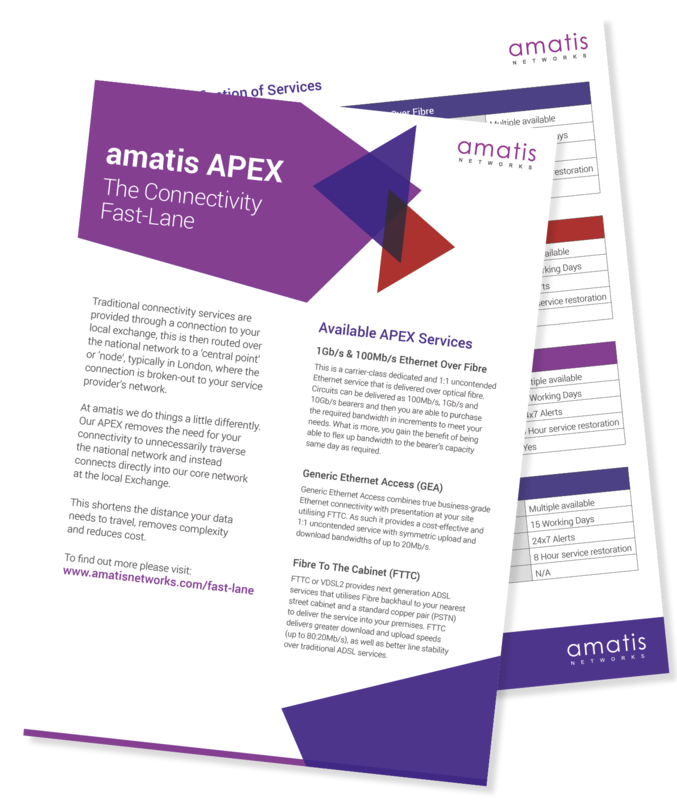 Our APEX service, currently available in Reading, removes the need for your connectivity to unnecessarily traverse the national network and instead connects directly into our core network at the Reading Exchange. This shortens the distance your data needs to travel, removes complexity and reduces cost. Download the APEX datasheet to find out more.